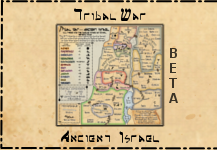 Conquer Club • View topic - How to play Three Kingdoms of China? How to play Three Kingdoms of China? What is the best way to play this map? 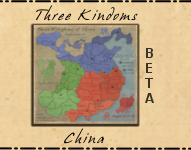 Re: How to play Three Kingdoms of China? Well. I play mainly and almost exclusively at foggy escalating games so my opinion may be a little biased but still i will put my coin here. First you should know. There are two easy takeable bonuses plus the cities. The cities are neutrals so it may be a good option taking them. The drawback is having to reinforce it so you should think it over, is not always that profitable. You should take Liang or Bei Ping when you have 2 pieces there or of you deployed and got lucky dice so you can have a bonus at most at the third round. If someone would fight over it then the best is leaving them fight over it and not to bother. Kingdom of Shu-Han have virtually no bonuses so it's a good place to take refuge. 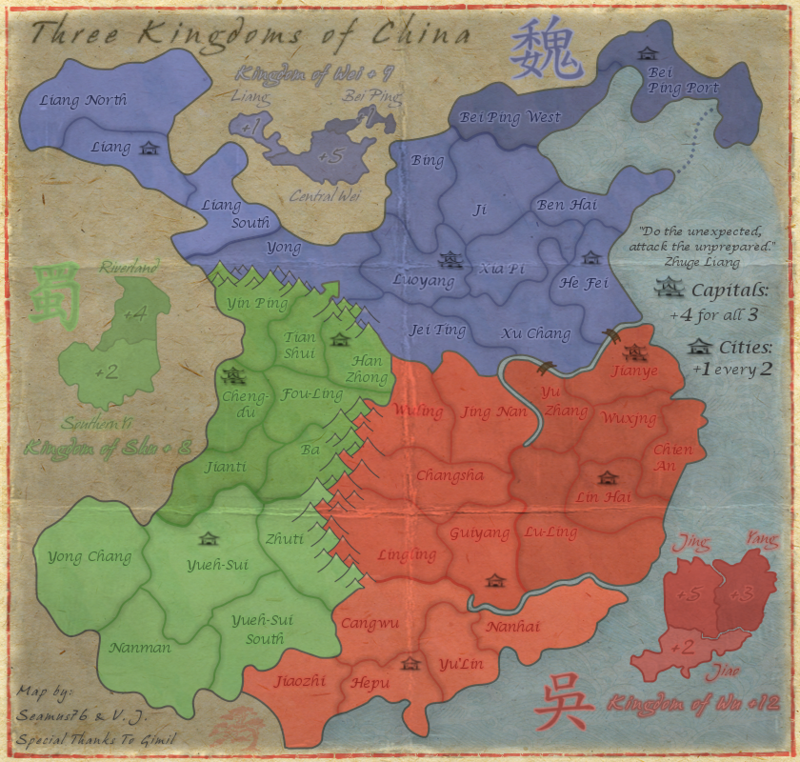 The Kingdom of Wu have a bonus region called Jiao, it's good if you happen to have 3 or more regions there by sheer luck. Otherwise you may take it if people are fighting over another region and it's left as an open farmin space to you. However you must be carefull not to waste troops. Sometimes is easier just going for cards at easier places. Apart from it you just have to wait for the right momentum and use your not map related strategy for the victory. Apart from what I just said. Many of these hard bonuses may be takeable if you're playing with a little number of people. You may even take a +3 bonus at the endgame or if you are playing with 4 or less people at the table. Last edited by skychaser on Tue Apr 09, 2013 9:12 am, edited 1 time in total. Oh. I think "Do the unexpected, attack the unprepared" is attributed to Sun Tzu rather than Zughe Liang. It's a common catchphrase. skychaser wrote: Well. I play mainly and almost exclusively at foggy escalating games so my opinion may be a little biased but still i will put my coin here. Wow, this is an amazing analysis of the map. Really cool. skychaser wrote: Oh. I think "Do the unexpected, attack the unprepared" is attributed to Sun Tzu rather than Zughe Liang. It's a common catchphrase. In everything I found when researching the map I only found Zhuge as being attributed to the quote. Now, in The Art of War, Sun Tzu does say "Attack him where he is unprepared, appear where you are not expected." But these are two different quotes. 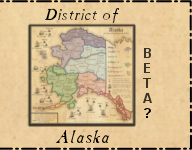 Feel free to post this in the map thread as there may be others who can confirm one way or the other. Well. I thought the phare was attributed to Sun Zi since he was called to defeat the Shu Kingdom by WU. That time is believed that Sun Tzu having lesser armies would wait and reinforce. Thus he attacked and conquered the territory and using surprise after surprise he was able to defeat Shu at his time. I guess one can see it from the Sun Tzu video frou the History Channel. At the age of Three Kingdoms you can see that everyone knew the concept. Cao Cao used this tactic a lot. He defeated Yuan Shao by attacking unexpectedly his food storage and won a war with 1/10th soldiers for example. Even the defeat to Cao Cao would be attibuted to the surprise attack with fire. Cao Cao misjudged the climate by estimating the wind from that time of the year would not blow from south to north. Wu could not defeat Cao if not for the "surprise wind". So the frase may be from Zhuge Liang. the book despict him as a a god of the strategy, but the concept was around long before him. There's a tv series from the Romance of Three Kingdoms.They have changed the text a bit to fit the new times but it's nice. Except that it doesn't have the classical introduction explaining chinese mindset from Rafe de Crespigny.